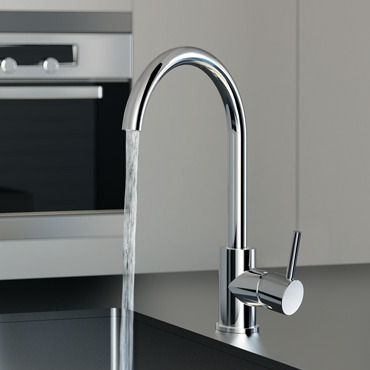 New Cleo single-control kitchen sink taps have simple lines and cylindrical shapes, swivel water spout, and several functions in order to adapt to every need while maintaining a comfortable use. 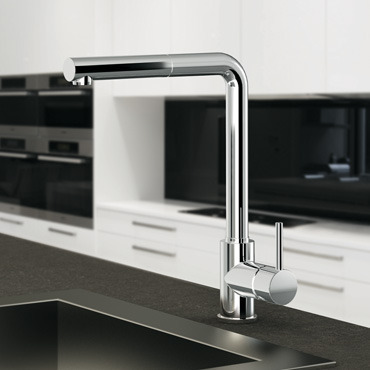 The simple and cylindrical shapes of New Cleo deck-mounted single-control kitchen sink taps are available with a traditional or side handle. 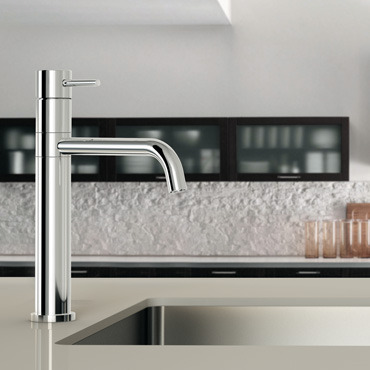 The version with pull-out shower makes easier to clean the sink and fill buckets or pans with water.